Chez Billy Sud is a quaint bistro situated in the heart of Georgetown. 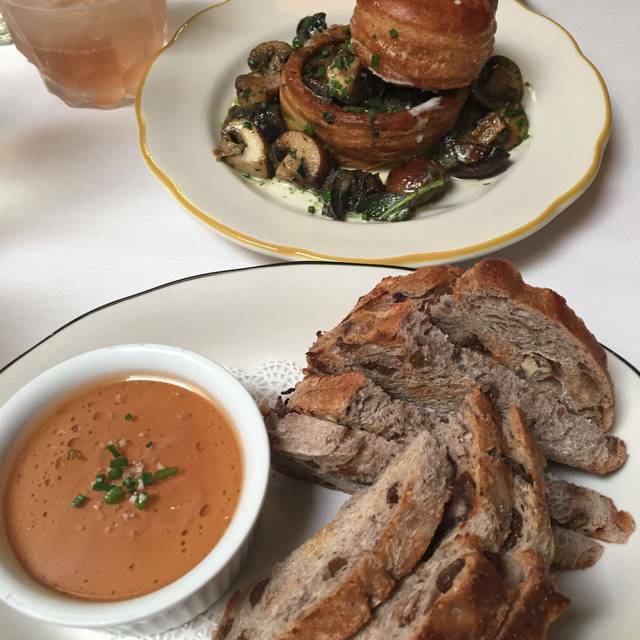 The menu showcases traditional and updated versions of various French dishes. Neighboring Bar a Vin features old world wines, and classic cocktails. 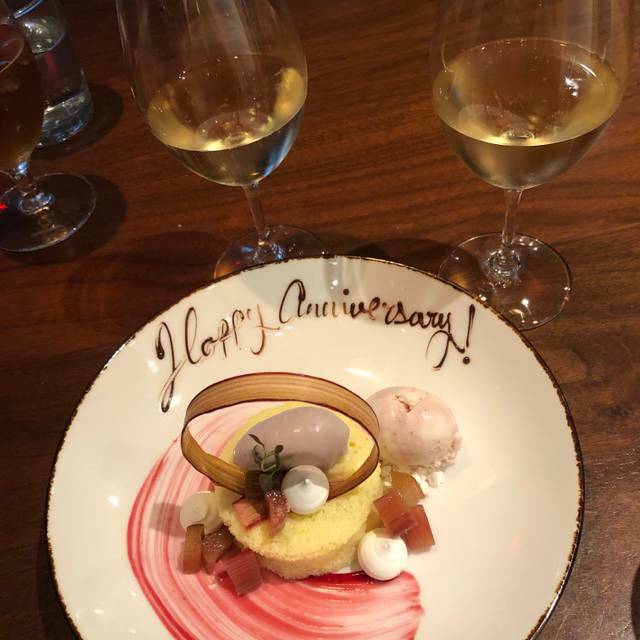 Perfect experience, exceptional service and delicious food! Our sever, Agnes was delightful. Casual and comfortable; never pretentious. Chez Billy Sud always delivers on very good service and very good food. Love the environment. I'll keep coming back. A great place to go before a show at the Kennedy Center. We made early reservations and were sat immediately. The restaurant filled up to capacity as we ate. The food was fantastic and the mixed drinks VERY good. Will definitely be back. Fantastic service. Once again, absolutely superb. The smoked bluefish rillettes was just the right balance of pungent fishiness and smooth fat. 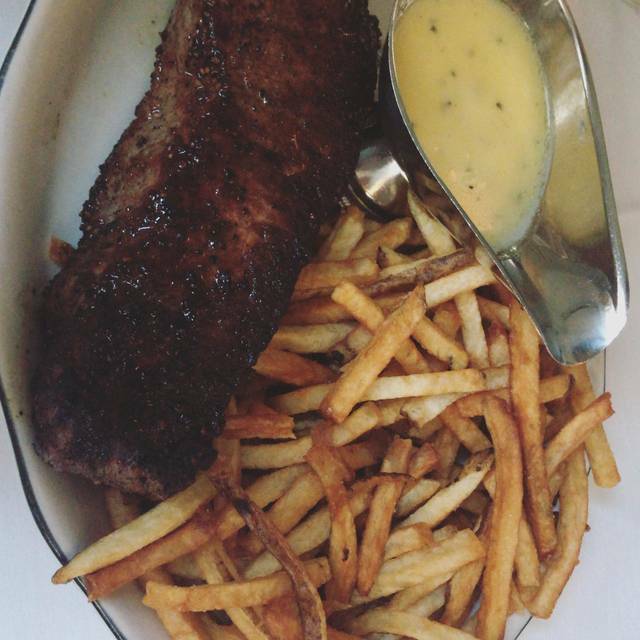 The steak frites was testimony why you should never hesitate to get steak in a restaurant where the professional grills are so hot you get a result you cannot duplicate at home -- a crispy crust with tender, tasty pink meat inside. My companion's potato-crusted salmon with lentils was perfection, bursting with flavor. Wine, service, all great. Don't miss the bar next door where truly expert mixologists serve up cocktails that match the quality of the food. This is just a wonderful place for great food in a nice setting. Always have fun here . . . typically get the trout because I LOVE trout. Others in our group got the duck and they loved their selections, too. Absolutely loved this restaurant. The ambience was warm, inviting and charming, beautifully decorated and very French! Food was wonderful with a fine wine selection. Started with the county pate which was very excellent, next time will get the escargot served in a puff pastry. It looked amazing. The duck confit was excellent. Two days later, still thinking about our meal! Service was great. 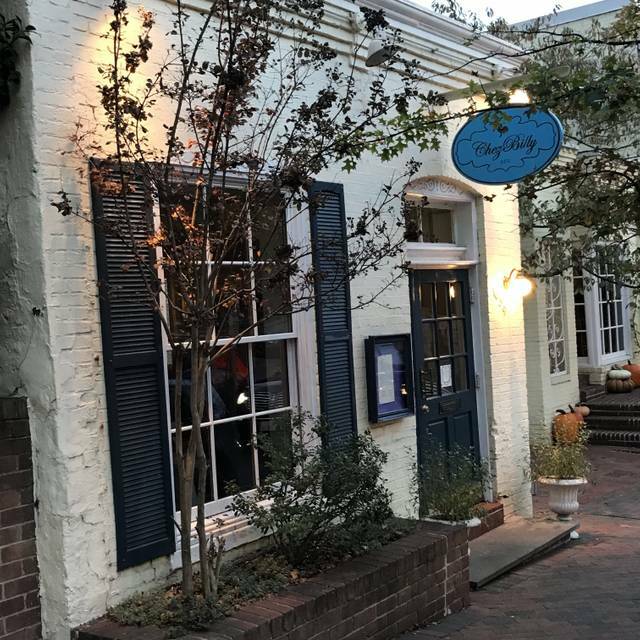 Will definitely dine here every time we’re in Georgetown! Wonderful! Aggie, our server was amazing. Felt like we were in Paris! A gem! Excellent food and service! Absolutely delicious and Great service. Beautiful find. Highly recommend brunch spot!! Absolutely lovely. We went for our anniversary. 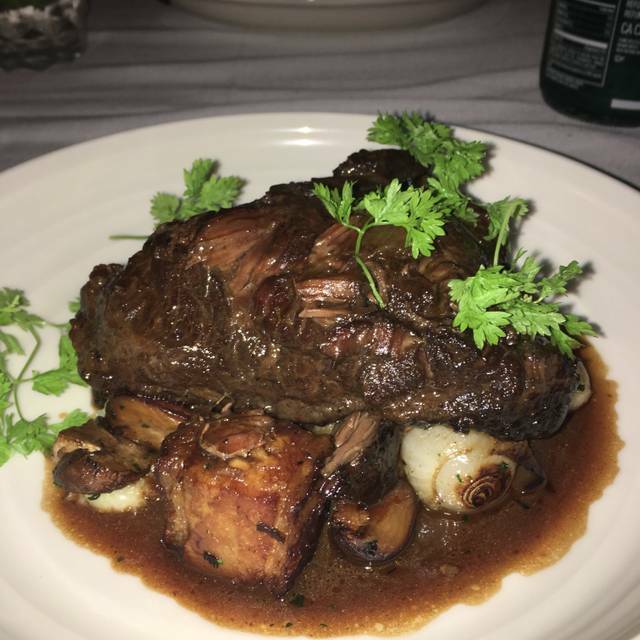 The food was delicious and unique, the service was great, and we look forward to seeing what new additions to the menue there will be next time. We were a bit late for our reservation and they held the reservation for us. We met old college friends at Billy Sud, and it was a pleasure. The food and service was terrific. Already did. Seeing a Trump cabinet mbr. Made it particularly exciting for an out of towner. Wonderful dining experience, I loved everything about it. I've already recommend it to three people. Parking is a challenge but worth the effort. The greatest difficulty truly was decided what to order. You can’t go wrong with anything. The restaurant means well but it is difficult to deliver on what is expected because there are too many patrons and not enough staff. If there are just two, you will find it difficult to have a conversation as everyone has to talk very loudly to be heard. The food is average. Incredible meal, great value for money and lovely ambience. One of our all time DC favorites! Carlos was such a great server! We split the green salad to start (definitely big enough for two) and then had the sea bass and the trout. The desserts were amazing and Carlos brought out one for our birthday celebration. Will 100% come back. A great place for a tete-a-tete with good friends. On this particular occasion, we were meeting to congratulate two of the four in our party on their engagement. The steak, duck, and two orders of salmon were cooked almost to perfection (I usually never order fish at a restaurant for fear of overcooking, but took a chance this time and it paid off) and our waiter was just the right balance between attentive and aloof. The restaurant got a bit noisy as the evening wore on, and it became progressively more difficult to hear the people sitting opposite, but otherwise our experience was close to a perfect 10. Our server Cameron was amazing, guided us thru wine selections and really knows his stuff! As always, we frequent this gem of a restaurant. The best food, always excellent and outstanding service and ambience. What more can we ask for?? Service from Carlos was first class. Small plates (chicken liver mousse and blue fish) were wonderful. French onion soup may be the best I’ve ever eaten. The specialty dessert was delicious. Unfortunately, both main courses were overcooked - crispy duck was very dry, and skirt steak was cooked to medium (vs. medium rare) and was surprisingly tough. Not bad enough to send back, but disappointing enough to impact an otherwise great experience. I would go there again but would be willing to send the main course back if it failed again. Outstanding duck confit and cafe Liègeoise Good steak frite. Nice selection of French red and white wines. Waiter mellow, knowledgeable, and attentive. Full room was still relatively quiet. Delightful. Great food, great service. Excellent experience and highly recommend!! 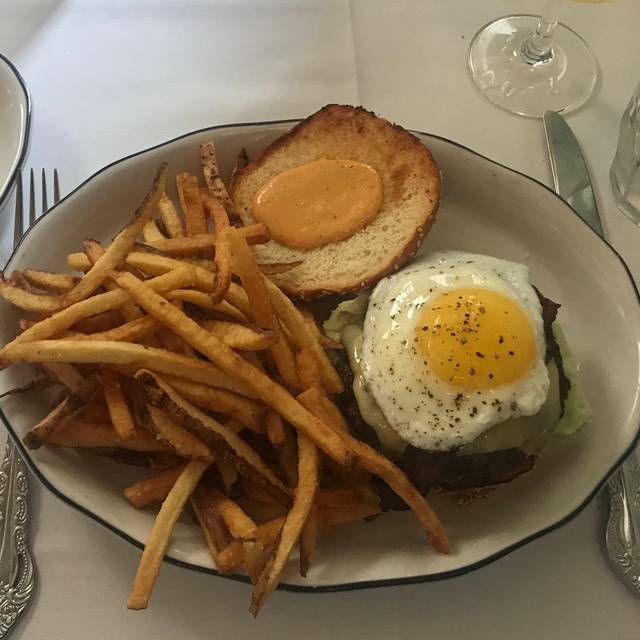 The feel is classic french with excellent food, wine, and service. Perfect date night spot. Everything is legit French and delicious! Started with Escargot in a pastry shell with garlic butter and mushrooms. Usually, there are 5-6 snails at most places; not here... the mushrooms and snails were abundant and the garlic butter was "spot on". 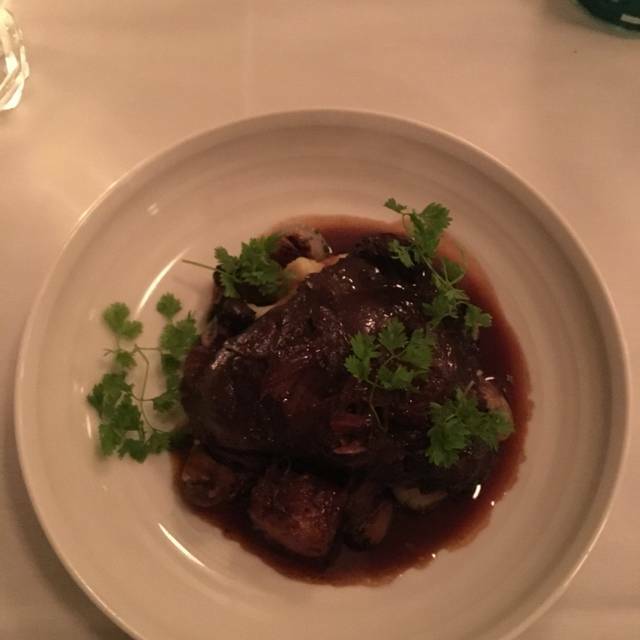 I had the pork shank which fantastic. My wife had the duck confit and loved her dish too. I can see why this may be a hard reservation to get. As always, the food was excellent and the service extremely good. 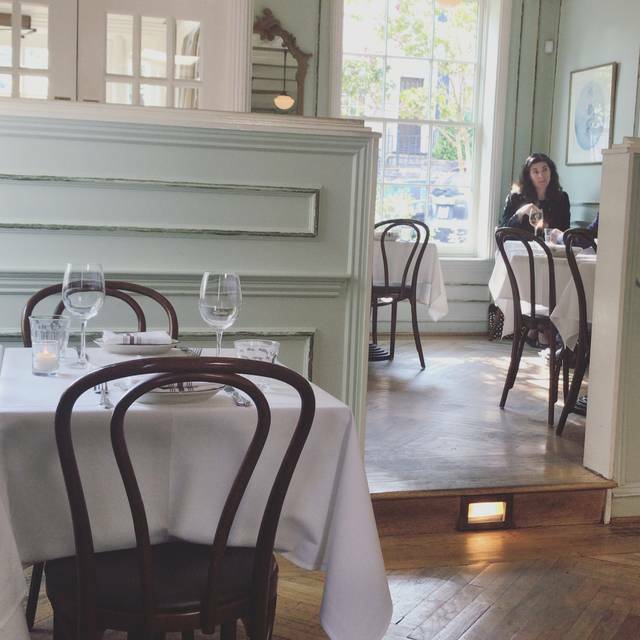 A wonderful place in the neighborhood to enjoy well executed French bistro cuisine. It’s always busy. Wonderful experience! Delicious food, great service... relaxing atmosphere. I tried the duck confit which was well confit but too salty to py taste. 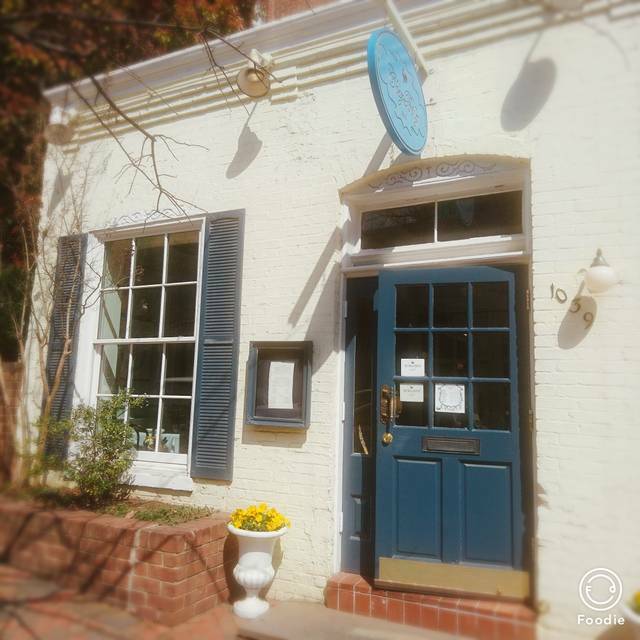 Wonderful Georgetown restaurant in charming historic building. Excellent food and wine. It was extremely noisy on a Sunday nite at 9p. Good service and food. Was not treated like other guest, was somewhat overlooked for our anniversary dinner. Minimal service rendered. The service was outstanding! We had a waiter who was attentive and bonus spoke fluent French. The presentation was great. The atmosphere reminds of a country French cafe. I will def go back.